The Flowmax 42i is an ultrasonic flow meter calculating the volume flow of liquids. Based on the ultrasonic technology, the Flowmax 42i is able to measure conductive and non-conductive liquids contact free. Flowmax has no moving parts and is absolutely free of wear. The design of the pipe minimises dead space over the whole geometry. All parts having contact to the medium are PE-HD or PVDF. Flowmax is characterised by its high measurement accuracy and repeatability. Empty pipe detection is integrated. Optionally Flowmax have a PID controller function. The calculated flow is provided with a response rate of a few milliseconds on the outputs. Flowmax has by default a preset quantity counter. The start signal can optionally be fed from the outside. A control signal for activation of the pump or valve control is also standard. Flowmax 42i is suitable for operation with piston diaphragm and peristaltic pumps. 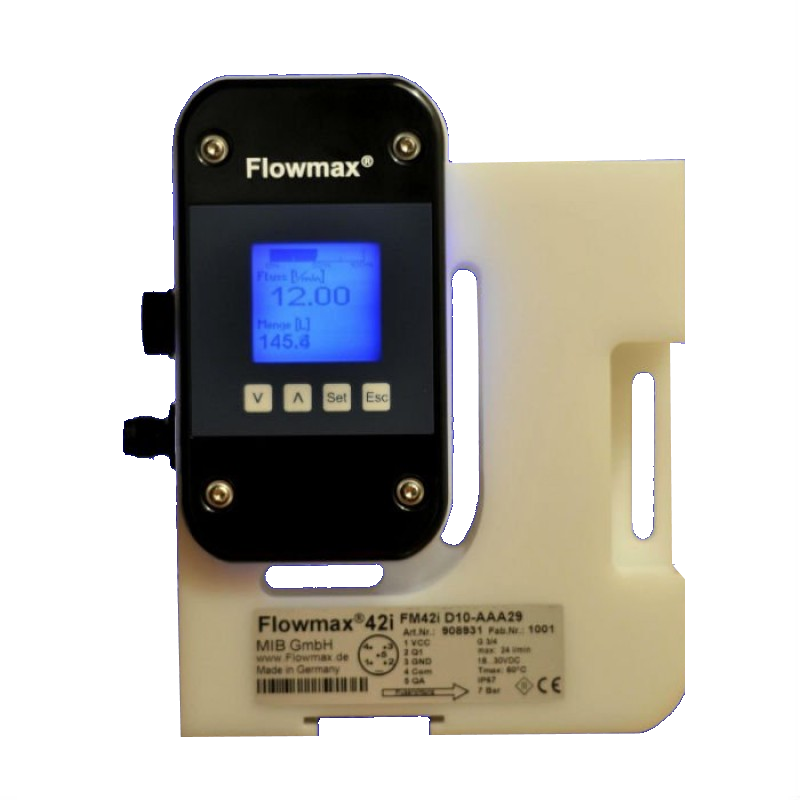 Flowmax 42i is a flow meter calculating the volume flow of liquids. Based on the ultrasonic technology, the Flowmax 42i is able to measure conductive and non-conductive liquids contact-free.